Many areas of new homes look to be created on the route of the high speed Crossrail ready for when it is up and running. Faster commute times to London and beyond look set to increase demand - and presumably prices - in the areas that will benefit with a connection to the new route which extends much further than you might have realised; as far as Reading and Shenfield. Watch out for property hot spots ! 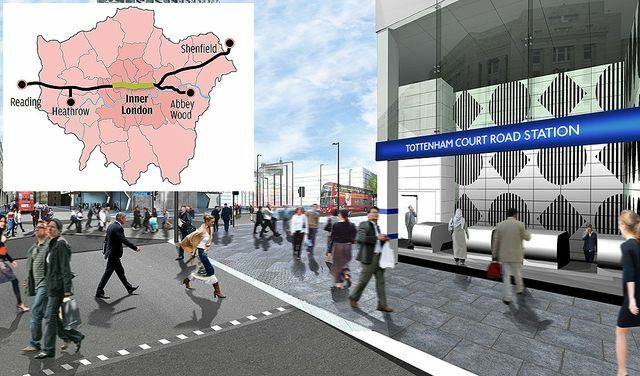 The new high-speed Crossrail route will drastically cut journey times into the capital from 2018, changing the lives of millions of Londoners and suburban commuters. Nothing boosts the value of homes more than a major transport upgrade and Crossrail is already providing a catalyst for regeneration. Running from Reading in the west to Shenfield in the east, this is the first direct connection between all of London's main employment centres and Heathrow airport. Up to 24 trains an hour will run during peak periods, boosting London's rail transport capacity by 10 per cent.